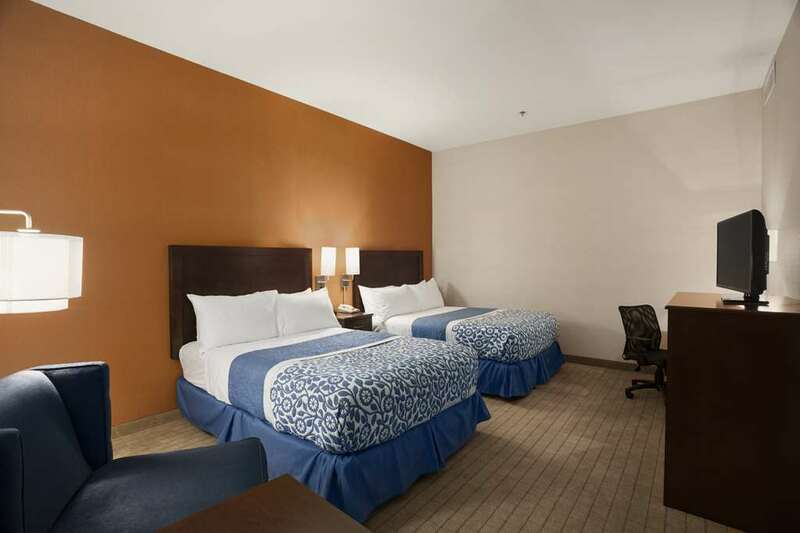 Welcome to the Days Inn Philadelphia where our unique location, across the street from the Convention Center, puts you within walking distance of Philadelphias historical sites, shopping and dining. Not only do we represent comfort, quality and great value but we are also a two-diamond AAA rated hotel. Our pleasant and helpful staff is committed to ensuring that your stay is both convenient and enjoyable. Parking available at a nearby parking lot for a daily fee. No RV or Truck Parking. No Pets accepted. A valid credit card and photo ID must be presented at check-in and credit card holder must be present. All major credit cards are accepted. Credit/Debit card or cash can be used to pay for the stay at check-out. If a credit/debit card is presented at check-in, the card will be pre-authorized for amount of stay and any incidentals. Enroll in our Wyndham Rewards program and begin earning valuable points for every Days Inn stay which can be redeemed for free stays, airline tickets, store and restaurant gift certificates and much more.